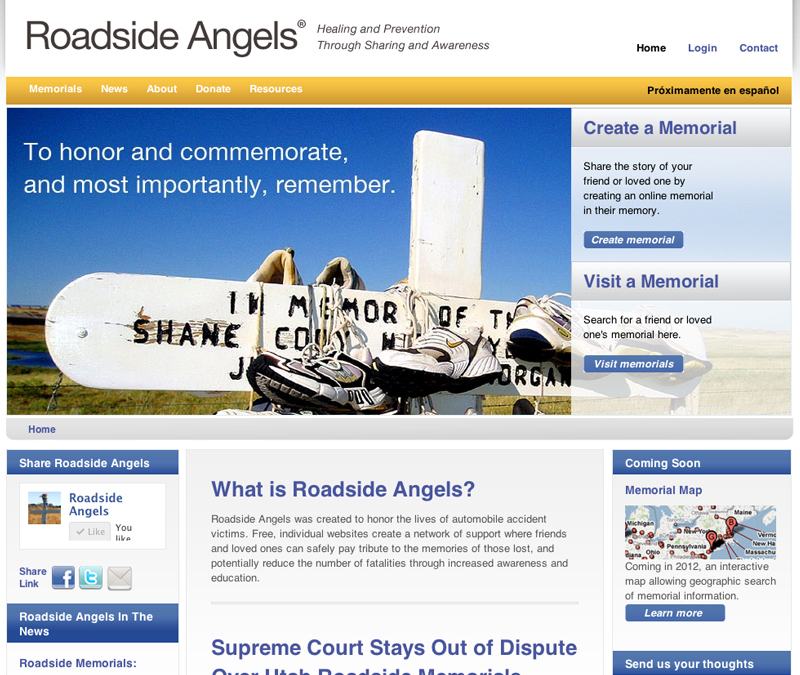 Roadside Angels is a new non-profit dedicated to giving families and friends of victims in highway accidents a place to talk and share their feelings. The most important part of their site was the ability to add online memorials honoring the victims. They also are focused on providing their users information about posting a real memorial around the accident. We built them a robust site that will have the ability to grow as their user base grows with a lot of backend function and potential to add new user tools like a photo gallery and interactive maps.